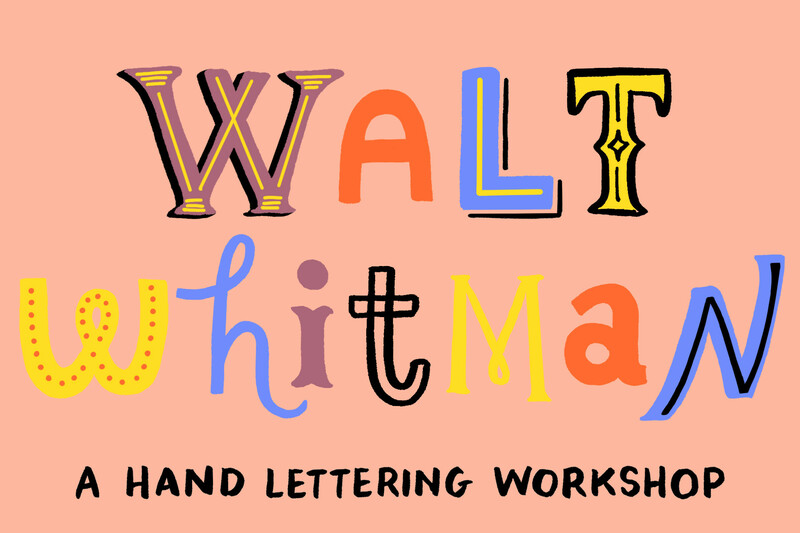 Drop in to create your own hand-lettered Walt Whitman verse. Materials and Whitman texts will be supplied – just bring your imagination. Illustrator Maria Tina Beddia will guide participants in the hand-lettering and illustration process. Accomplished artists can create their own illustrations, and novices can use a light-box to mix and match pre-designed imagery. Participants will leave with their own hand-lettered and illustrated Walt Whitman verse on paper.